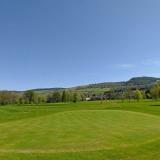 The nearest golf courses to Dunalastair are Pitlochry, Blair Atholl, Strathtay, Dunkeld, Taymouth Castle, Kenmore. All are a half to three-quarters of an hour away by car through stunning scenery. 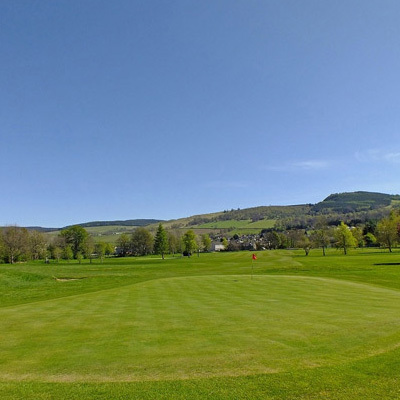 Blair Atholl - The village boasts a pleasant (and flat) 9 hole course, bounded on two sides by the rivers Garry and Tilt with stunning views of the mountains to the north. Pitlochry - This is one of the most scenic courses in Scotland. It sits high above the town and has spectacular views south down the Tay valley. It also has a Golf Academy and Driving Range opened in 2013. Dunkeld - Recently upgraded from 9 to 18 holes the wooded panoramas of this course are second to none. Aberfeldy 18 flat, riverside holes. Killin - Situated at the west end of loch Tay a stunning but steep 9 holes. Golf Today a useful website with information about golf and golf courses in the area.